Today was an absolutely beautiful day - sunny and calm with very few of the white fluffies hanging around either. Just perfect for a short pootle to check out some local gravel. I didn't have some huge plan in mind when I left home - just fill up and head out of town. So that's what I did. I eventually decided to work on a small loop that would take a few gravel roads and eventually get me to Feilding to catch up with my folks. The first gravel was on Watershed Road and it took me a wee while to get comfortable - the roads around here are a lot narrower and generally a bit bumpier than those magnificent gravel highways I was on down South. When Watershed Road ran into Spur road I had a choice of three directions to go in so naturally picked the wrong one (done that before too) which took me back onto seal and off towards Colyton. 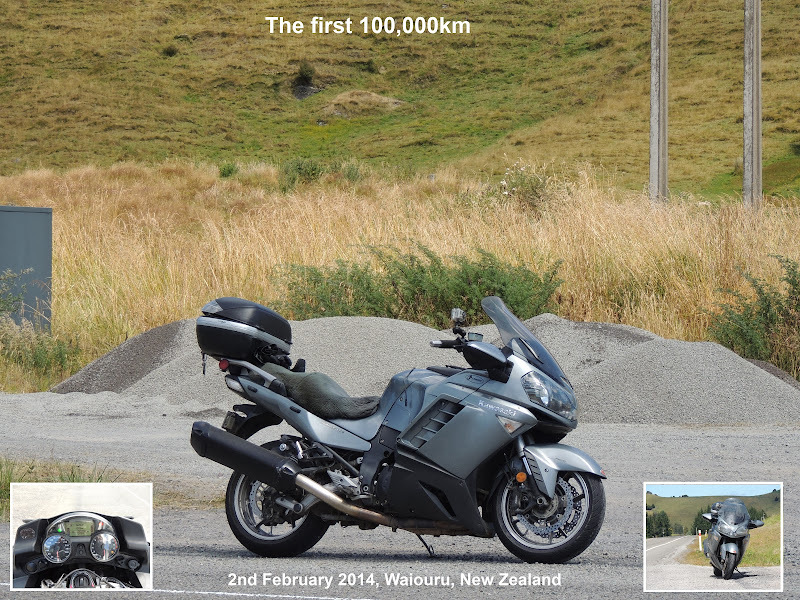 Rather than give up on the gravel fix, I turned right onto Taonui Road and eventually hit gravel again just before Pollock Road. Pollock Road took me through to Ridge Road (one of my favourites), which I took for a few km until turning off onto Coulters Line which would then take me back towards Kiwitea. Back on the tar again, I stopped briefly to see if there were any trout in the river. Once again I could have taken the seal back to Feilding but at Kiwitea I went straight ahead to grab my last bit of gravel on Levett Line. Levett Line took me through Beaconsfield and out onto Vinegar for just a few minutes before I turned again to take me into the back of Feilding. A quick stop to catch up with the olds and I was off home for afternoon smoko. A pretty short ride of just over 100km on a perfect day!